Many of you have been asking about my family, and how we are doing since my mom passed away. Everyone especially wants to know how my dad, Ed, is doing. Dad is doing as well as can be expected after you lose your wife of nearly 40 years. He’s a very active retired guy. He’s been out fishing a lot already this spring, and he’s planning a 3-week fishing trip to Minnesota in May with his friend since childhood, Rich. Our aunts, uncles and church friends have been excellent company, inviting Dad over for dinners, visits, and other social activities. We all miss Mom, and to be truthful, we’re in the avoidance stage right now. We’ve been focusing on the good things and pretty much shoving the rest of our feelings in the corner for the time being. I know God understands, and I know many of you do too. 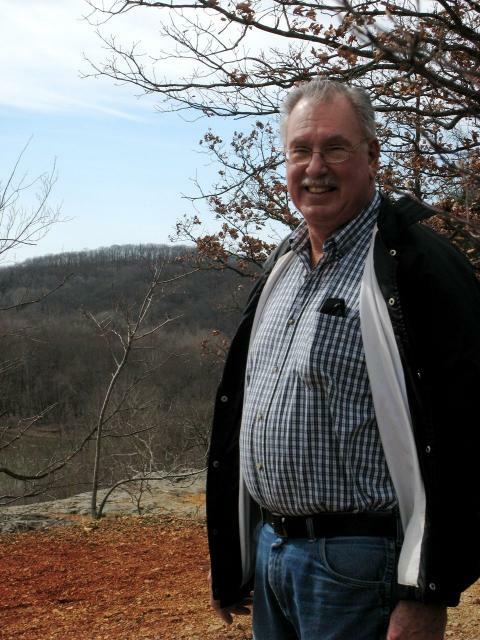 I’m posting a recent picture of Dad from a hike we took at Castlewood a few weeks ago. Thanks again for your kindness and caring. We all appreciate it. great pic! What a great place to hike! Glad he is keeping busy! Ed is always game for icecream at DQ!